The Askei Kataskei Journal replaces the eZine of the Covenant of Hekate which has been published in electronic format since 2011. The AK Journal is a devotional publication by devotees for devotees, bringing together historical and experiential articles, rituals, hymns, artwork and interviews honouring the Goddess Hekate. 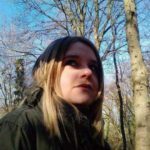 The Askei Kataskei Journal (Vol.1, Summer/Autumn 2018) makes the transition from online eZine to print publication with Vikki Bramshaw as editor. 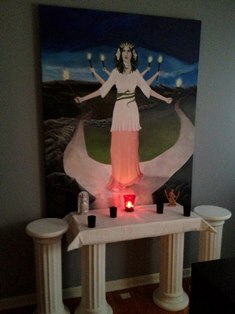 Theory: Essays (2500-4000 words) exploring particular aspects of the history and mythology of the Goddess Hekate. Essays should be carefully referenced, complete with footnotes and bibliography. Practice: Articles presenting devotional or magical ceremonies, presented with careful step-by-step instructions (800-1500 words) and photographs invited. Ceremonies on all aspects of Hekatean ritual invited, in particular Lunar, Devotional and Seasonal. Devotional: Hymns, Poetry and Invocation which can be used in ritual. If you are interested in contributing, please email your proposal to the editor. For Essay and Ritual contributions proposals of 150-200 words should be sent in the first instance. Proposals are still invited, but space in this journal is limited, so get in touch a.s.a.p. Artwork and photographs should be at least 300dpi, and preferably in JPG or Tiff format. All contributions should be accompanied by a contributor biography of 150-200 words. Please note: The Editor reserves the right to edit work for consistency and language, and will also make all final decisions about the suitability of contributions. By submitting to The Askei Kataskei Journal authors and artists give permission to the editor and publisher to reproduce their work in this publication. Contributors will retain the copyright to their own original material, and will be credited in full for all their contributions. Contributors will be able to purchase copies of the completed Journal at 50% off the RRP, and will receive a complimentary copy of the Journal once it is published. If you are interested in contributing, please email the editor, Vikki Bramshaw, askeikataskei.editor@gmail.com in the first instance with a proposal, or copies of artwork you would like to submit for consideration. I look forward to hearing from you!